Tax season isn’t far off now! With the IRS beginning to accept returns as early as January 29, it’s time to start thinking about filing. Of course, when planning your tax returns, you want to ensure everything is just right. Otherwise, you risk getting caught in an audit! While the chances of it happening are low, here are a few tips to make sure it doesn’t happen. Everything on your tax return must be completed correctly. Any mistakes made send up a red flag for the IRS. It doesn’t mean you’ll be audited, but the chances of it happening do increase. Additionally, if the mistake is big enough, you risk incurring fines. Paying more to the IRS is the LAST thing you’d want to happen. You still have time before your returns are due, but make sure you don’t put it off. Late tax returns could again cause fines while causing the potential for an audit. If there is some reason you absolutely know you cannot make the deadline, don’t fret! You can always file for an extension on your tax return. Honesty is the best policy when it comes to your tax returns. 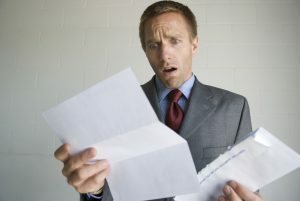 Don’t fudge numbers or make up random credits and deductions. 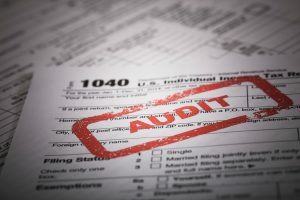 At the end of the day, the IRS can see if you’re lying and will make you file again while under an audit. When reporting your income, make sure you report something. The IRS takes notice of returns reporting little to no income. The same can be said for reporting a large amount. Oddities in tax returns get the IRS’s attention. However, if you’re being truthful about your income, either way, an audit will not change that. It’ll just take more time to figure out. Still nervous about filing something wrong? We understand! Tax season can be a stressful time for individuals, families and businesses alike. And the pressure of making a mistake can sometimes be too much. If needing to take the stress off, try hiring a Certified Public Accountant to handle tax services in Morton IL. And if needing such an accountant, White Income Tax can help you out! White Income Tax has been serving folks with tax services Morton IL and the Greater Peoria area need. Aside from taxes, we also handle a variety of other accounting services. If interested in how White Income Tax can help, give us a call today at 309-326-9866. Also, we are located at 431 N. Western Ave., Peoria, IL 61606.